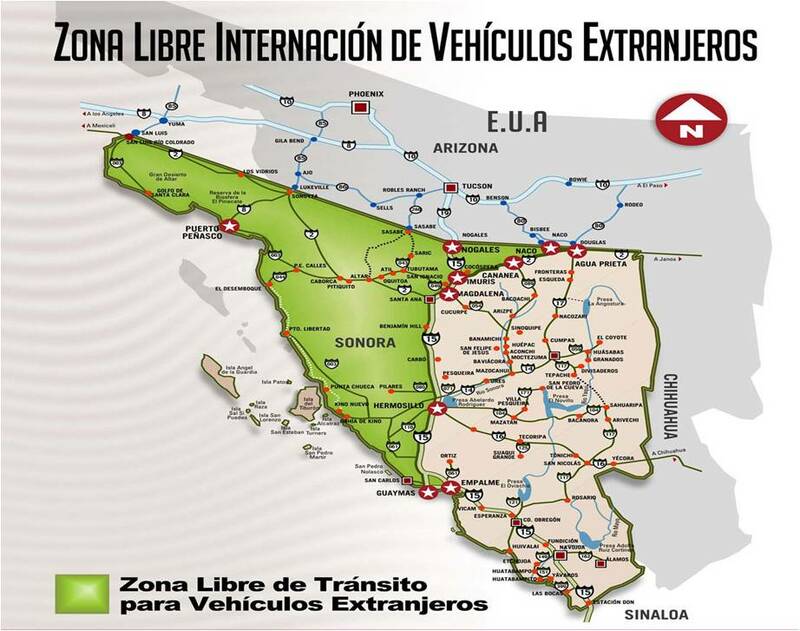 With the exceptions for the states of Sonora and the Baja Peninsula (see notes below) if you plan to drive a foreign-plated vehicle beyond the ~35 km “free zone” you will need a Temporary Import Permit (TIP) and you must get this at the border. They are not available at Mexico’s interior checkpoints. If you are visiting Mexico on a tourist/visitor permit, you can import your foreign-plated vehicle to Mexico, but you must export it again before the permit expires. FMM permits last for a maximum of 180 days (about 6 months) and cannot be renewed or extended beyond this time period. Holders of Residente Temporal (with or without work privileges) and Residente Temporal Estudiante may import their car to Mexico using a Temporary Import Permit (TIP). The vehicle will remain legal in Mexico for so long as the resident permit remains current. For details about residency permits, see our Mexico Immigration page. Export the car permanently – Take the car out of Mexico (crossing the border into the US or Belize) – see also “Safe Return” procedure, below. Export and then re-import the car using a Customs Broker – If you want to keep your car, there is a process to legally import the car by paying the relevant duties and import taxes. You’ll need a customs broker to assist you with this process. The name of the person with the Residente Permante permit will need to have clear title to the vehicle (no liens or encumbrances; and no leased vehicles) – see also “Safe Return” procedure, below. Export the car and sell it to a person with a Residente Temporal permit – If you know a foreigner with a Residente Temporal permit who wants to buy your car, you can export it, sell it to them, and they can re-import it using their Residente Temporal permit. Export the car by sea – In some circumstances, export of your car on a sea vessel might be a viable option. You’ll need a customs broker to help you with the process. As a rule of thumb, shipping fees to the US range from $1,000-$1,500, which might be worth it especially if your vehicle is particularly valuable. If your vehicle is currently “illegal” (or will become illegal when you switch from Residente Temporal to Residente Permanente), and you want to take the car out of the country, you can apply for a “Retorno Seguro” permit from SAT, which gives you five days to drive the car out of the country (to the USA or to Belize). 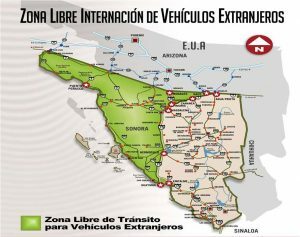 Sonora: There is no need for a vehicle permit if you plan to use your car within the State of Sonora’s “Free Zone” which includes the popular cities of Agua Prieta, Bahia de Kino, Caborca, Guaymas, Hermosillo, Magdalena, Nogales, Puerto Peñasco, San Carlos, and Santa Ana (green area on map, click/tap here for full size version). If you plan to travel outside of the Free Zone and remain within the state you can get a “Sonora Only” permit. Baja Peninsula: Foreign-plated vehicles driven into the states of Baja California and Baja California Sur do not require an import permit. Your US or Canadian car plates must be valid and any stickers must be kept current while the vehicle is on the Baja peninsula. If you take your car from La Paz to the Mexican mainland (by ferry) you will become subject to the car import rules described above. When your foreign-plated vehicle has a TIP, you don’t necessarily have to exit Mexico through the same port you entered. 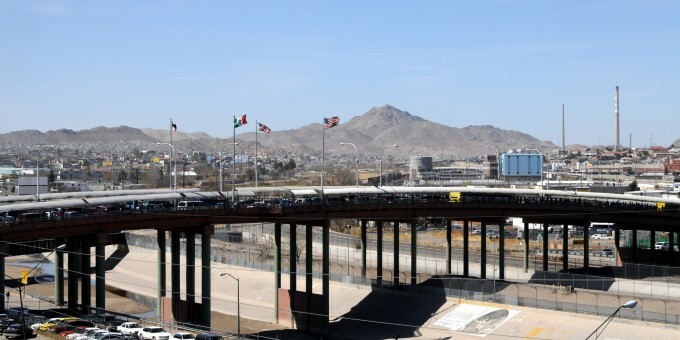 For example, you can import the car at the US border and export it through Belize, or you could enter through Nogales and exit through Laredo, etc. If you abandon your foreign-plated car in Mexico, you’ll have to pay Aduana (Mexican Customs) 40% tax on the car’s value. This rule was brought-in some while ago to discourage foreigners from abandoning or selling their foreign-plated cars and telling Mexican Customs they were lost or stolen. There is an established process in place that prevents someone who has legitimately had their vehicle stolen (or suffered total loss of the vehicle in an accident) from having to pay the fee. Proper documentation will be required to get the TIP cancelled, so a police report has to be filed, plus special forms have to be filed with the Mexican Customs office, and the help of a Mexican Notary Public is needed to formalize all the paperwork to cancel the TIP of a stolen car. While the authorities cannot prevent you from leaving if you don’t pay the tax, failure to do so will forfeit your rights to import any other foreign-plated vehicle to Mexico in future. If you want to dispose of your car, there is a procedure whereby you can “donate” it to Mexican Customs; you can find more information about that here on the Mexican SAT web site. Right now I am a temporary resident and will be switching to permanent residency in May 2017. I was thinking of legalizing my car now so that I don’t have to do it later. Can I do that as a temporary resident? Also my license tabs expired and since I was thinking of legalizing my car in Mexico anyway I didn’t want to pay to renew the tabs since I will be legalizing it anyway, do you know if current tabs are required to import your car in Mexico either as TIP or legalizing it? Hi J, yes, you can formally import your foreign-plated car to Mexico if you are on a Residente Temporal visa. Usually, these processes require that the car be legal in Mexico at the date of the application so you *might* have to have the tabs up-to-date; however, talk to your Import Customs Agent who will be able to advise you. If you have an insurance policy for your foreign-plated car, that *will* usually require you to keep the tabs updated for the insurance to remain valid, so you may need to do that in the interim before the formal nationalization of your car takes effect. Confused! My wife and I have Permanent Resident Visas. We have a home in San Miguel de Allende. We are moving down there for a year at the end of September. We want to drive a car load of “special & personal” items to our San Miguel home from California in our California plated car. We would then drive the car back out of Mexico to sell it in Texas. From what I read this seems impossible! Correct? It also seems that we cannot just enter as tourists and get a 180 tourist visa and return the car later as they will cancel our RP visas! Do I understand this correctly? With permanent resident visas you cannot drive a car into Mexico beyond the free zones with a Temporary Import Permit. Your only option is to import the car formally which entails paperwork, expense and duties to pay. You can’t enter Mexico as tourists without losing your Residency Status (this point is moot in practice, but that’s the official line and if you risk it, you could risk your residency status). An alternative option is to hire a removals company to ship your goods and chattels. Remember to contact your Mexican Consulate about arranging your “Menaje de Casa” so that the shipment will enter Mexico duty-free (the Menaje is one-time duty free entry for your personal items when you have a residency visa). I was thinking about taking my car to mexico, Its a 2001 jeep. I would like to have it there permanently for when on vacation. How is this possible? Is it better to just pay the 6 month permit. The car is going to en up on a small town where permit isn’t required or what is recommended? The car import regime is now fully computerized and, even if your car will be in a small town, the presence of the vehicle in Mexico will be registered and the approach you describe could cause you some headaches in the future. If you want to have the car permanently in Mexico you’d need to formally import it – contact a customs broker for details about doing that. Hi, If I import my car with a Residente temporal permit; does it have to stay with the foreign plates once it is in Mexico during all my stay or is there a way to get Mexican plates for the car while it is in Mexico even if it is temporal? Many thanks. 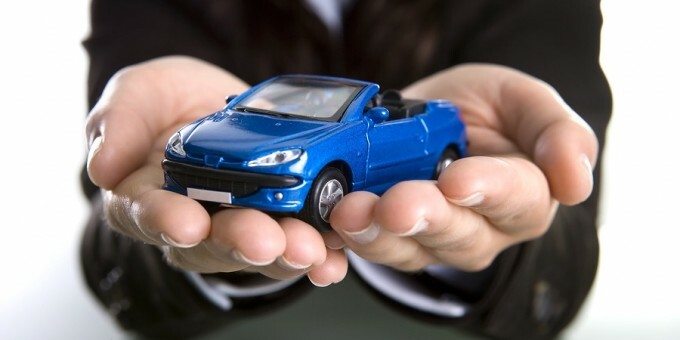 There may be a procedure to “nationalize” your car when it has been legally imported under the TIP program; however, the rules are complex and not all cars are eligible. We recommend you seek the advice of a Customs Agent before you import the car. NB: Also take care to ensure the agent is accredited by the Mexican Treasury (Secretaría de Hacienda y Crédito Público). The rules on car imports have changed and been tightened-up in recent years, thus the information provided in this article. Our article about “Living in Mexico without a car” (https://www.mexperience.com/living-in-mexico-without-a-car/) is more about consideration of lifestyle choices than avoiding car imports. Long-term residents who want/need a car tend to buy one locally and avoid the car import paperwork altogether. I have read on MX Aduana site that it is also possible to legally import a NEW NAFTA car with something like less than 500 miles and no more than, say, 2500 lbs. (Don’t remember the exact numbers). Using a broker, of course. Can you confirm or deny this possibility? The rules are complex and we recommend you contact a Customs Agent to discuss the details; they will be appraised of the latest rules and be able to guide you accordingly. My wife and I both obtained our Residente Permanente as we had planned to spend our retirement in Mazatlan – living in the condo we purchased there. Our plans changed last year and we sold our condo, but still plan to visit Mazatlan occasionally in the future as tourists. We want to drive our US plated car to Mazatlan. Does this mean we have to “cancel” our Residente Permanente and if so how can we do this? Or can we enter under our US passport without being in some type of legal jeopardy? 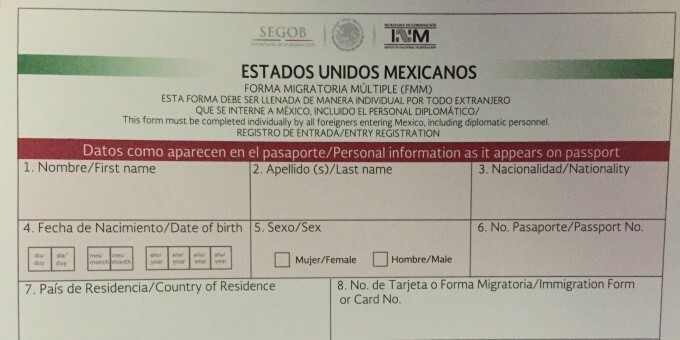 If you have resident permits in Mexico (temporary or permanent) and enter Mexico as tourists (Using a FMM) then *in theory* you lose your Residency Status. At present, cross-checks may or may not be made, but as border checks become increasingly computerized it will be easier for immigration officials to see these movements. To cancel your Permanent or Temporary Residency status, you surrender the resident permit (plastic card) at the airport or border crossing before you leave the country. We are moving to La Paz at the end of November 2016 and will have applied for Permanent Resident Status. We will complete the process in La Paz. It is our intent to drive our vehicle from the U.S. into Baja and use it only there. From what I am reading so far, it sounds like we do not need a special permit to do that. 2) Do we have to get Mexican plates, once we are living in La Paz? 3) Do we need to get Mexican drivers’ licenses once we are there? 4) Most important question is this: I am reading differing information on what years of vehicles we can drive in and keep on the Permanent Visa Status. We had planned to bring (drive) a 2016 Toyota. Some reports I’m reading say nothing later that 2011 is permitted. Please tell me what is correct or where I can get an official answer. We don’t want to trade down on our car before we move, but more importantly, we don’t want to have in confiscated when we get there. I have not been able to get the answer on the internet, so far and getting through to a consulate is almost impossible. Please read the comment and reply given to Dmitry, below. My wife brought her 2001 Mazda into Mexico under a Tourist Visa through Nogales in about 2008. She then obtained a Residente Temporal, keeping the car in Mexico. When the rules changed for keeping an auto in Mexico she obtained a Residente Permanente because that was advised to be the way to go to keep the car in Mexico on a TIP. We now know this was an error as we do not want the cost of importing it under a Permanente. We are now thinking that I, the husband, will acquire a Residente Temporal, then transfer the title of the car to my name and remove the car from Mexico to be brought back as my vehicle with an R.T. Should we leave the car in her name until we exit Mexico as it must still be on the original tourist visa FMM and under the circumstances should we stop at customs to officially exit the vehicle. Under the present rules, you can hold a Residente Temporal and import the car on a TIP (Temporary Import Permite), even if your wife holds Residente Permanente. Your wife can drive the car legally in Mexico (see separate comment and reply below to Irene about who can drive your foreign plated car). You will indeed need to leave the car in her name until you export it, before re-importing it under your temporary residency permit. First, the car must be in your name, not your wife’s name when you return. Second is that under the present rules, after 4 years your Residente Temporal automatically converts to a Residente Pemanente and you will need to review your situation in line with the advice mentioned in the article above. Not sure if anyone has the same issue as me. When I enetered Mexico with my car two years ago I haven’t received any papers at the border! Is there a way to legalize it without taking the car out and bringing them back! I got my permanente visa issued last year. We recommend you contact either Banjercito or (probably better) a Customs Broker who will be able to advise you whether it’s possible regularize the status of your car. Remember it is important if you brought your car into Mexico and obtained the TIP permit at the border which comes attached to the paper form on which the decal is attached (the decal has to go onto your windshield); you must turn in the original TIP permit and paper form to Mexican customs before you take your vehicle across the border. If you return to Mexico again in your vehicle and did not turn in your TIP your vehicle will already be in their system, meaning they will prevent what will appear to be a second foreign plated vehicle into Mexico. If you decide to live in Mexico permanently far easier to sell you foreign plated car and then fly here and buy a registered Mexican plated car. And if you decide to get your foreign plated car Nationalized for Mexico at a later date it must be eligible car type with a 1 to 5 number in front part of the VIN number. I have a Permanete resident status and live in La Paz. Can I buy an american (non-imported) car and how can I use it (Ford Taurus 2006)? Is it possible to make import process here, in La Paz? It is possible to import it somehow? The matter about whether foreign residents with Residente Permanente status can own a foreign-plated car in one of the “Free Zones” (Baja and Sonora Free Zone) appears to be a moot issue in the law presently. In any event, we recommend you contact a local customs broker to ask about the import process (they will also advise on whether or not your car can be imported). Importing a foreign vehicle you want to keep in Mexico when you have RP is the surest way to formalize your vehicle and thus any future rule changes or re-interpretations of the law will not affect you. Please explain what you mean that the matter of Residente Permanentes owning / driving a foreign-plated car in the Vehicle Free Zones is a “moot issue in the law presently”. I have tried for years to find out if a RP in the free zones can legally drive a foreign plated vehicle and I’ve had no success. If looked at the Aduana and SAT websites and haven’t been able to find anything. I also haven’t been able to find any info regarding what I can and can’t do as a RP. Please help. Hi Stephan: By “moot” we meant that it’s subject to debate and uncertainty (as you’ve discovered there is a lack of clear legal guidance); we understand that there are people with RP status who own and run foreign plated vehicles in the free zones without any apparent problem; however, as that situation is a well-known gray area in the law, it’s not therefore assured and anyone with RP and a foreign plated vehicle needs to be prepared to respond accordingly if and when the legal situation in this matter is made clear either way. We are in Puerto Vallarta on a tourist visa and are going back to the States to get our Residente Temporale (me) and Permanente (husband), both retired. Our US plated car is in my name. Once we have our Mexican residency statuses approved can my husband (RP) drive my (RT) car while I am in it? While I am not in it? Not at all? – By a Mexican, so long as any of the above are traveling in the vehicle. So according to these rules, your husband can drive the vehicle in Mexico whether you are traveling with him, or not. If I enter Mexico in my car on a visitors visa at the crossing in Roma Texas…… Do I have to leave Mexico at the same port of entry or can I leave Mexico say from Chiapas into Guatemala and re- enter Mexico there after 6 months? You don’t have to exit at the same crossing that you entered; you could drive into Mexico from the US out of Mexico to Belize or Guatemala (or vice versa). Just be sure to surrender your TIP at the border crossing before you leave. so, once the vehicle leaves the country, how long before it can re enter again? Several folks here in La Paz have attempted to research the car importation issue and both INM and Aduana agree that NOTHING has changed in Baja regarding foreign plated automobiles. We are (still) not required to obtain any permits, etc. when the vehicle enters Baja from the USA and our foreign plated cars are legal here as long as we are legal (valid visa of any kind) and as long as the plates on the car are current. Obviously, that could (and probably will) change as the current regime continues to phase out the “Fronteria” status currently enjoyed by the entire Baja Peninsula. Very imformative now im almost certain of what I have to do, Thank You So Much!